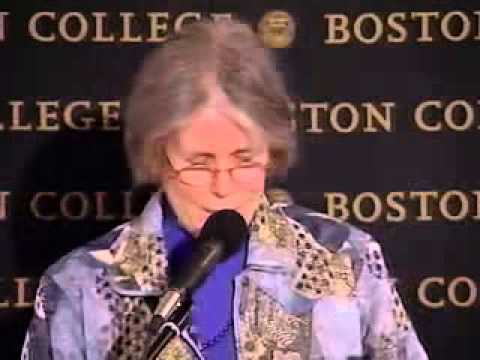 Alan Jacobs, professor of English at Wheaton College, and Judith Wilt, the Newton College Alumnae Professor Emerita, discuss the role of literature in sustaining religious belief. It is not uncommon for modern American Christians to say that writers such as C. S. Lewis, J. R. R. Tolkien, T. S. Eliot, Fyodor Dostoevsky, and many others, have served as spiritual anchors, fulfilling a need not always met by pastors and theologians. Is this a recent development, and how did this state of affairs arise? What does its existence suggest about the condition of American religious belief and the role of literature in sustaining it? And, is this good or bad news for Christianity? Judith Wilt is a founding member of the Women's Studies Committee at Boston College and has published essays and given papers recently on women writers as diverse as Ayn Rand, Toni Morrison, Georgette Heyer and Virginia Woolf.